Discovering time in ordinary and extraordinary objects. 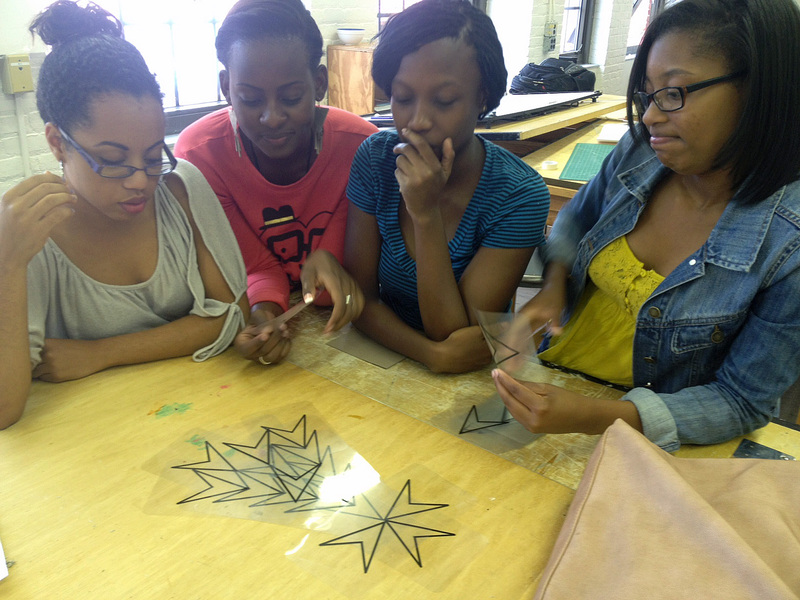 Janine, Khadjia, Shanice, and Sheldyn in a team-building activity lead by MIT grad student Derek Ham. My students’ teamwork skills are improving by leaps and bounds. The group of students pictured to the left makes teamwork and design look like so much fun. In this photo they were doing a team-building exercise under the direction of Derek Ham. Derek earned a Bachelor of Architecture degree at Hampton University in 2001. He went on to each a Master’s of Architecture at Harvard and teach at HU and FAMU. Today, he’s a PhD student at MIT. He came to talk with our students about overlaps between design and computation. The overall goal of all this team work is to master skills in design, collaboration, and self-directed learning. In self-directed learning a (person or) group can identify what it needs to learn and how to learn it. It’s even better when the (person or) group simultaneously identifies what it wants to learn as well. That’s when learning gets to be really fun! Members of this particular group did a nice job answering the question posted on this blog 1.5 weeks ago by prof. Steven Temple from the University of Texas at San Antonio. He asked if we’d posted findings of our water study yet. Finally, here some are…. We’d done five studies in studio to date. We’ve explored properties of water, light and time. And, we’ve drawn our project site and studied/documented various monuments that use/express time/sun. The images posted represent a few of the items this team has made in studio this semester. So: What has the studio found that’s unique to water, light, and time? Last weekend I asked my students to summarize their findings in words. Here’s the response provided by Janine, Khadjia, and Sheldyn. Capturing the essence of water. For this project, we decided to explore the way water moves. We wanted to highlight the seemingly random and beautiful motion of water and that other liquids also exhibit when placed in water. We used different colored dyes to show this. We observed that water and other liquids interact with each other in different ways, and that the density of the liquids mainly governed their behavior with each other. 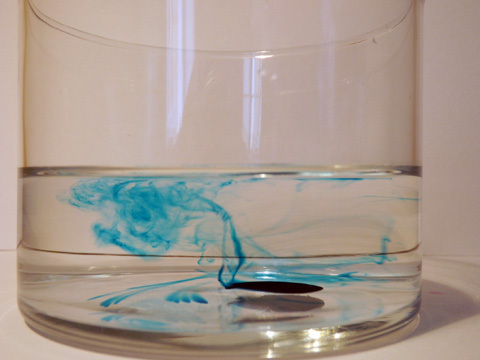 We observed a beautiful, smoke-like motion of the ink until it diffused and all the water became a diluted color of the dye. We also noted the way that water takes the shape of whatever vessel it is contained in, and that at any angle the water level will always stay perpendicular to the pull of gravity. Capturing the essence of light. We wanted to highlight the behavior of light in terms of shadow and through different media. We mainly focused on shadows or the fact that light travels in straight lines and does not bend around objects. 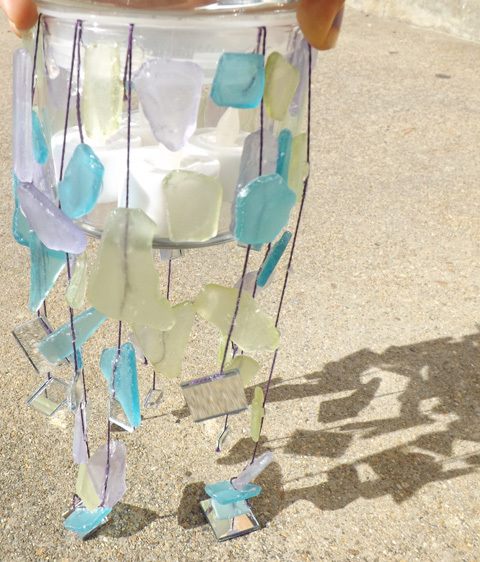 We also explored the reflection and absorption of light and how it filters through translucent media. We discovered that the effects of all these things differ with natural and artificial light. We also wanted to exhibit movement through light and observed this through the way light bounced off the mirrors and made shadows when our hanging objects moved. We wanted to focus on decay as a major indicator of time. We chose leaves that clearly indicated a full life cycle. They showed the progression from a rich green, whole sturdy leaf all the way to a brown, crinkled leaf. Age was indicated in the color, texture, size and shape of the leaf. 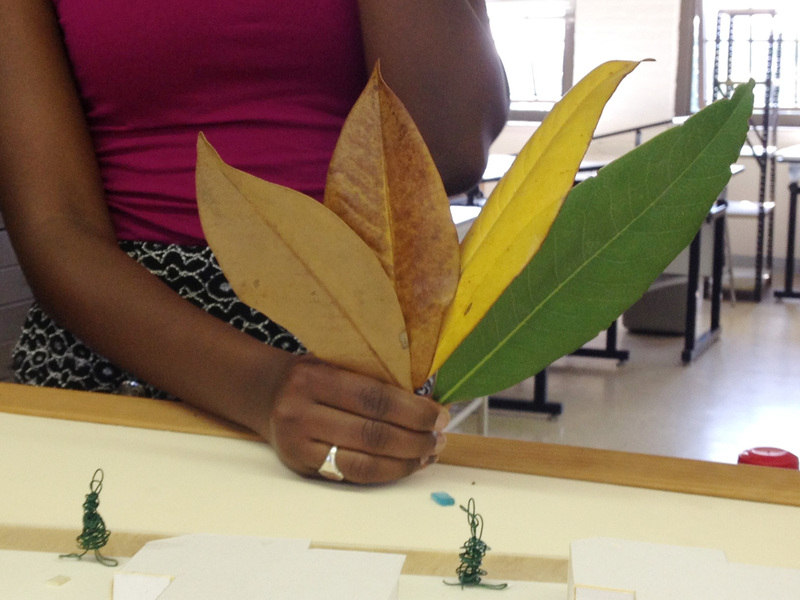 We discovered that they also showed a sense of hierarchy in the appearance of the leaf. The youngest, freshest leaf was also the largest and had a strong, durable presence whereas all the other leaves got progressively smaller, duller and more brittle. They seemed to fade and disintegrate before our eyes. Capturing the essence of time. The water project exhibited all three concepts or elements. It showed water and its behavior with other liquids, it showed the behavior of light in water and also time, through the motion and eventual diffusion of the dye over time. The light project mainly exhibited light and time. It showed the behavior of the objects at different times, as they looked different during the day and at night. It also subtly exhibited time and wind as the positions of the objects and their shadows and reflections were constantly moving and changing. 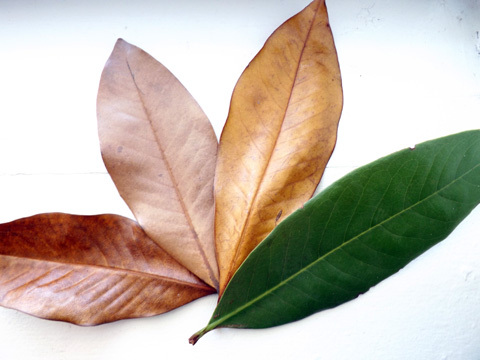 The time project also incorporates all three elements because with the passage of time, light is reflected differently off the leaves, shown by their color and texture, as the younger leaves shine because of their smooth texture and the older leaves don’t because they are dry and crinkled. Water was also shown in this project because the absence and presence of water within the leaf indicated its age. Younger leaves had more water and smoother, more elastic textures and older leaves were dryer and contorted with the absence of water to hold their shape. The team reported their water, light, and site findings in studio 1.5 weeks ago. Here’s a closer view of their ground work. This team knows how to make learning fun.